20% OFF + Extra $15 Walking Company Coupon- Verified 30 mins ago! The Walking Company is a footwear retailer headquartered in Santa Barbara, California, USA. The business was founded in 2004 by Andrew Feshbach and now has over 200 outlets across the United States. They also sell shoes online at TheWalkingCompany.com. Here you can make savings and redeem other online offers by using The Walking Company coupons. We update our list here at Coupofy whenever new codes become available. Exclusions: Final Clearance styles Details: Holiday Sale! Get up to 55% Off clogs, boots, athletic, slippers & more + Free Shipping on all Footwear. FREE Shoe Care Item With Any Regular Price Footwear Or Orthotic Purchase. Details: New ECCO Markdowns! Get 25% off Select casuals, athletic & walking styles! Details: Holiday Sale! Get 50% Off Dress Styles from ABEO, BeautiFeel & Umberto Raffini For Women's & Men's. 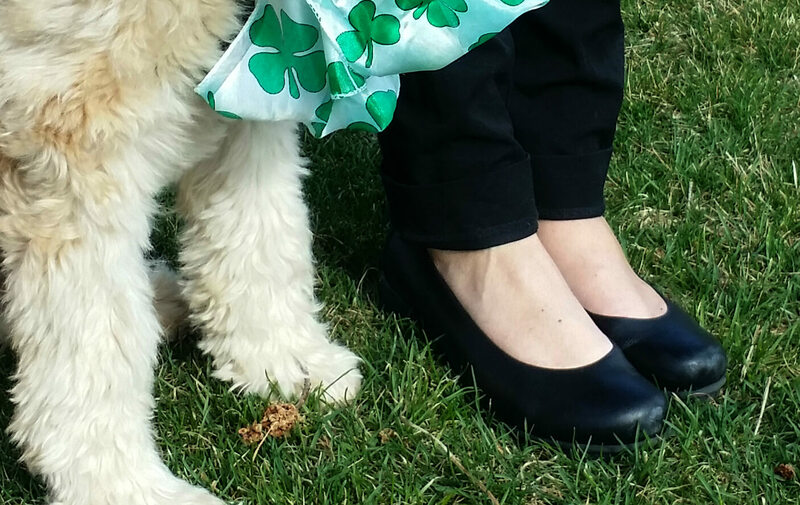 Details: Get up to 50% off athletic styles from ABEO, ECCO, Dansko & more - Starting at $69! Details: NEW Dansko Markdowns! Get up to $40 off sandals, casuals, clogs & more! The company's focus is on comfort and they only stock brands who they feel mix style with state of the art comfort technology. In 2009 Feshbach decided to introduce Abeo (his own brand of footwear) that did just that. Made from "BIO system technology" Abeo footwear comes with built-in orthotics that are customized at the point of sale. Now instead of a one size fits all approach, customers can buy shoes tailor made to their true shoe size and foot shape. In 2010 The Walking Company made $3 million from the Abeo brand alone. And the best news is that, with The Walking Company coupon, you can acquire these top brands at amazing prices. The Walking Company's full inventory can be purchased online at TheWalkingCompany.com. The Walking Company stock a wide variety of comfortable footwear brands including their own Abeo, and third party brands Dansko, Ecco, Umberto Raffini, Taos Footwear, Ugg, and TaraM. These are categorized by Women's Shoes, Men's Shoes, and Comfort Level. Browsing via comfort level is handy if you have a specific ailment or medical issue. Categories include Ultimate Comfort, Everyday Comfort, Fashion, Plantar Fasciitis Relief, Bunion Relief, and Heel Spur Relief. Styles of footwear include Casual Shoes, Athletic, Dress/Career, Sandals, Walking, Clogs, Outdoor, Boots, and Slippers. You can also buy accessories like orthotics, socks, and shoe cleaning products. Gift cards are also available. When you open a category you can further refine your search by selecting the color, style and price range. The Walking Company promo code can be redeemed for products in any of these categories, by pasting the code in to the promo box before payment. 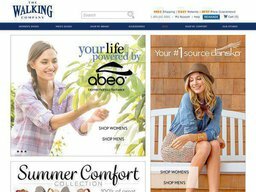 As well as its catalog TheWalkingCompany.com also publishes "inspiring stories" from customers about how their Abeo brand has changed their life due to its level of comfort. There is also a rewards program that earns you a point for every dollar spent. Once you collect 500 points you get $20 in-store credit. Ordering can either be done online or over the telephone. Shopping on the online portal is easy. You need to start by browsing the variety of products available either narrowing to accessories, women shoes, men shoes or by brand. Once you find an item that you like, click on it. You can then select the size you want as well as the preferred color. Once done, add the item to your cart. A new page will open with your order as well as a box to enter a promo code or reward certificate if you have one. To complete the check outprocess, you will be prompted to either sign up as a new member, as a guest checkout or enter login details for existing members. It is also here that you will fill your shipping address information as well as payment details. Finally, the customer service will send you an email confirming the order and the estimated delivery. Currently, The Walking Company is accepting payments from major credit cards. These include Visa, MasterCard, American Express and Discover cards, as well as Paypal. They ship to US, Canadian, and international customers. The latter must call +1 (800) 642-9265 or email [email protected] to find out the current shipping rate. All pricing is displayed in US dollars. US customers are charged a standard shipping fee of $8.95 and all orders over $100 are shipped for free. Free shipping is done via FedEx, Standard, FedEx Home Delivery or FedEx SmartPost. Shoppers are also offered premium gift wrapping services on online orders. The service must however be opted in during checkout by indicating the items to be wrapped. The gift wrapping service is charged at $5 extra. An extra $5 will get you 2nd business day delivery, and an extra $10 will get you overnight delivery. Standard shopping usually takes 3-8 business days upon shipping confirmation. Shipping to Hawaii, Alaska, and Puerto Rico, incurs an extra $10 surcharge. Sometimes they will run free shipping offers regardless of the order value, which you can claim by using the required The Walking Company coupon code. Returns are accepted and no questions are asked if done within 30 days. You can take items to a local retail outlet or send them to the returns address. Items must be unworn and in their original state, unless defective upon receipt. Clearance and special-order items are excluded from returns. Refunds are made to the payment method used at the time of purchase. For the cash and check purchases over $100, a check is issued within 15 days. On those purchases below $100, cash can only be refunded after 10 days. If you would rather have an exchange for the item(s), the same is issued within 30 days. Unfortunately, The Walking Company does not accept returns of clearance or special order items. The loyalty program aims at appreciating the wide customer base The walking company prides in. joining the program is free but purchases need to be made for you to earn points and maintain a certain level of membership status. The Membership levels are in three tiers; the lowest being Reward Members, followed by Reward Plus Members and the highest level is Elite Rewards Members. For every $1 spent on qualifying orders, Rewards Members earn one point. While those on second tier earn 1.1 points and those on the elite level garner 1.25 points. The plus and elite members are also subject to more rewards and offers such as free shipping and gifts on their birthdays and anniversaries. The Walking Company has over 200 stores across the US. Through the company’s website, customers can search for the store that is nearest to them. This way, items can be ordered and received on a timely manner. As the holiday seasons beckons, gift cards are a necessity to appease family members and friends. The walking company gift cards can be purchased online at denominations of $25, $50, $100, $150, $200 and $250. To order the cards, you simply need to add them to your cart and follow the instructions at check out. Gift cards are shipped free of charge to the stated destination. However, the cards can never be redeemed for cash nor can its value compensated in cases o damage or theft. Free shipping on $100+ order. With no coupon or promo code required. It is however important to check with store if some of The Walking Company coupons listed above are still valid. Some codes expire quite fast, and therefore Coupofy cannot guarantee their validity.